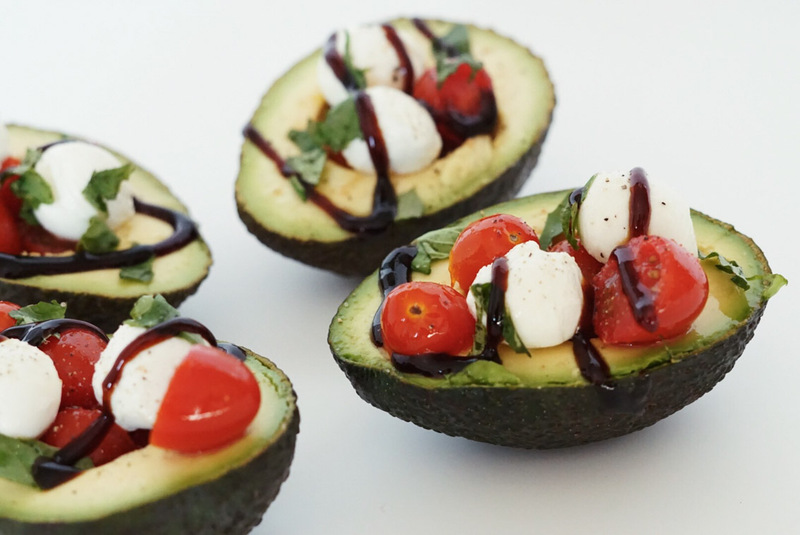 Caprese Stuffed Avocados for the win! These are especially good if you’re trying to keep it on the lighter side but are craving some Italian goodness. And they are easy to make. I barely have time to cook these days (which is so sad!) so I’m into anything that is fast, healthy, and delicious. 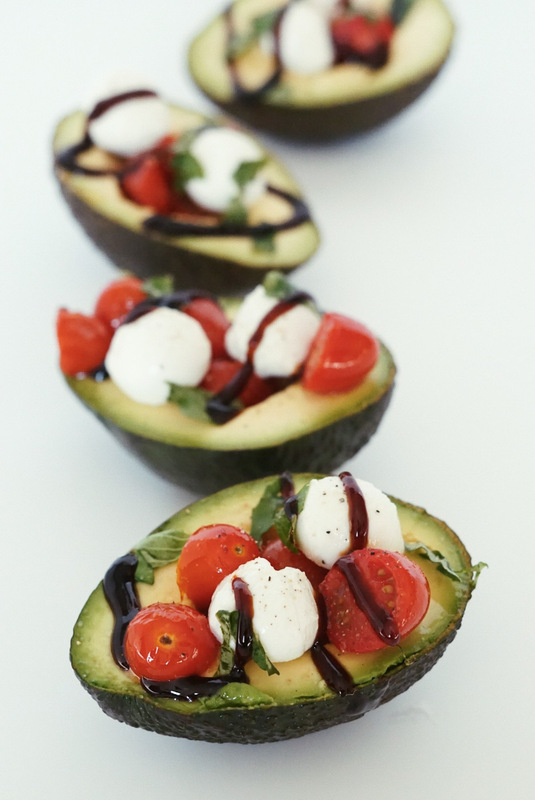 There’s nothing like a fresh caprese salad in the summertime. 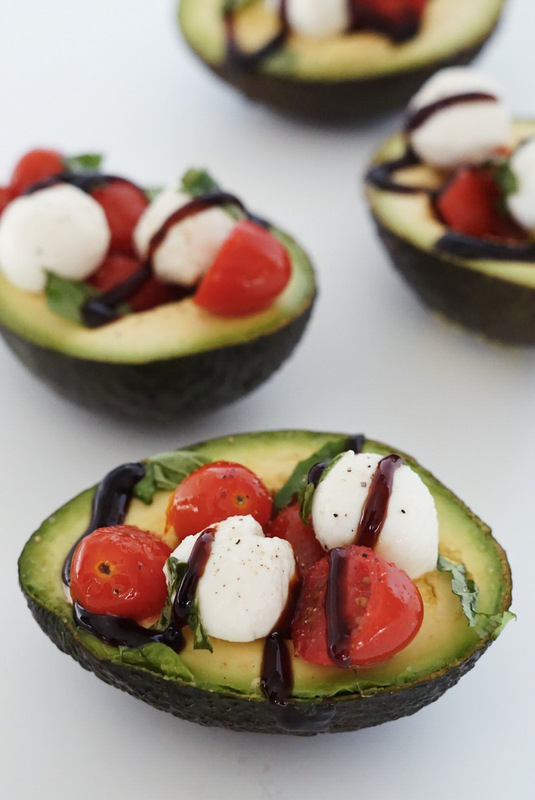 Find more Skinni-Mini recipes just like this one here. for exclusive content, discount codes, + more!